As noted on Policy Watch many times, school choice and traditional school advocates have been bickering—in and out of a courtroom—over charters’ share of state funding for the better part of a decade. 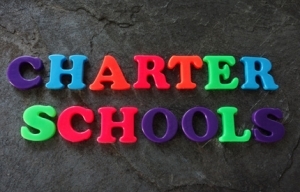 Charter schools often accuse local school districts of shortchanging them, despite state laws that require traditional school systems shuttle per-pupil state dollars along with students leaving for charters. In the latest twist though, state Senate Republicans are hoping to take that funding out of local school districts’ hands altogether. A pair of bills filed this week, Senate bills 658 and 562, are similar in that both would leave county commissioners, rather than local school boards, the responsibility for dispensing appropriations to charters. However, Senate Bill 658—cosponsored by Republicans Ralph Hise and Chad Barefoot—goes a significant step further, also giving counties the power to issue capital, or infrastructure, funds and access to various funding pools currently denied to charters. That includes reimbursements, sales tax revenues, gifts and grants made directly to local school systems. Of the two, Senate Bill 658 is the most likely to anger traditional school system supporters, who might note charters are not required to share their own portion of grants, reimbursements and gifts with local school systems. Both bills have been assigned to a heavily backlogged Senate Rules and Operations Committee. Policy Watch will continue to track the legislation.